OMAFRA February 2018 Food Bulletin | Chatham-Kent Agriculture Development | We Grow For the World! There will be opportunity to get out and meet your industry peers this February at the Ontario Fruit and Vegetable Convention. Read on for more information about registration and special events during the conference and how to make the connections that will grow your business -– and find out how OMAFRA’s Ontario Food Exports team (OFEX) can help you identify exporting opportunities for your products. February 21-22, 2018 – Ontario Fruit & Vegetable Convention (OFVC), Niagara Falls. Don’t miss OMAFRA’s Winery Session on Feb 21! Innovation Unleashed: Restaurants Canada presents its RC Show 2018, February 25-27, 2018 at Toronto’s Enercare Centre with a focus on cutting-edge products, pioneering people and transformative ideas. Browse 1,000+ exhibits and eight pavilions, including the Ontario Pavilion, where the Ontario Ministry of Agriculture, Food and Rural Affairs will be in attendance. In its 72nd year, this tradeshow and conference event provides networking and tasting experiences designed to help you grow your business. Who should attend? Owners and operators, presidents and executives, buyers and purchasing agents, chefs and managers, caterers, hoteliers and industry consultants. Using less energy is better for the environment and saves you money on your operation’s utility costs. There are a lot of ways that Ontario food and beverage manufacturers can ensure an energy-wise operation – watch our videos on operational efficiency, utility cost planning and measurement, and tackling invisible energy waste. Contact OMAFRA at 1-877-424-1300 or ag.info.omafra@ontario.ca for more information about smart energy decisions. Did you know that Ontario Food Exports (OFEX) provides end-to-end export marketing services for Ontario suppliers who are new to exporting or already experienced exporters? 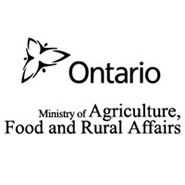 As part of the Ontario Ministry of Agriculture, Food and Rural Affairs, OFEX can help suppliers identify export opportunities for their products and develop strategies that address the unique challenges of exporting food, beverage and agriculture products internationally. Interested in learning more?Contact OFEX today. Ontario Food Exports, in conjunction with Agriculture and Agri-Food Canada and Global Affairs Canada, will be holding a free Comprehensive Economic and Trade Agreement (CETA) information session on Tuesday, February 20th at the Delta Hotel in Guelph, ON from 10:00am – 1:00pm. This session will help prepare Ontario agri-food businesses to leverage business opportunities under CETA. EU Trade Commissioners from Italy, Poland, Sweden and Germany, and members of Global Affairs Canada will also be available for one-on-one meetings to answer specific questions. A continental breakfast and lunch will be provided. There is no cost to participate. OFEX and NSF International will deliver a one-day training seminar focused on U.S. regulations at NSF International’s Guelph, ON offices and via webinar. The seminar will provide an overview of food labelling under the U.S. Food and Drug Administration (FDA) and Food Safety Modernization Act (FSMA) Foreign Supplier Verification Program (FSVP) requirements. This course will help suppliers understand the regulatory landscape in order to identify mandatory requirements for food and beverages being exported to the U.S. Cost is $125 +HST per person. Space is limited and will be reserved on a first-come, first-served basis. Save the date for the 2018 edition of PROFIT New-to-Exporting Seminar. This long-standing seminar features speakers who are experts in their fields and is a “hands-on” orientation, covering the basic requirements for food and beverage exporters who are interested in, or currently exporting to, the U.S. Topics include export financing, product labelling, U.S. tax laws, food brokerage, food distribution, food and drug regulations, customs and customs brokerage, and features speakers from the U.S. Food and Drug Administration, U.S. Department of Agriculture and U.S. Customs and Border Protection. Held in Toronto, Ontario, Street Smart is an excellent opportunity for Ontario agri-food manufacturers and processors to showcase their products and company in a table-top setting in front of up to 35 U.S. and international buyers. Previous Street Smart events have led to millions of dollars in sales for Ontario companies. This year, Ontario suppliers will be featuring a broad range of private label and branded products from the bakery, deli, frozen prepared, beverage, snack food, specialty, confectionery and grocery sectors. For more information, contact Cheryl Chlebus, OFEX Client Information Coordinator at Cheryl.chlebus@ontario.ca or 519-826-3767. Ontario food and beverage companies can apply for grant funding through George Brown College’s Food Innovation and Research Studio (FIRSt). Located in downtown Toronto, FIRSt supports product development by providing access to technical resources, state-of-the-art facilities and networking opportunities for small and medium-sized businesses within the GTA food and beverage industry. To determine if your project qualifies contact Michelle Kienitz atmichelle.kienitz@georgebrown.ca or visit the program website. The OFVC brings together more than 200 exhibitors and sponsors across three exhibit halls, and 120 educational sessions featuring internationally-acclaimed speakers, catering to a vast range of interests and sectors. Casual networking opportunities and competitions offers attendees many ways to connect with peers and potential customers. OMAFRA will chair several sessions, including a full-day winery session, on February 21. For general inquiries, or to register, exhibit or sponsor, contact Glenna Cairnie atglenna@ofvc.ca or 905-945-5363. Ontario’s finest cider makers will have their sweet cider entries judged during the OFVC event. The Ontario Craft Cider Competition features two categories: common cider and specialty/flavoured. For more information, or to download an entry form, visit www.ofvc.ca/cider. Also taking place during the OFVC event is the Great Ontario-Hopped Craft Beer Competition, which brings together Ontario hop producers and the Ontario brewing industry. Entry form and registration fee ($25) are due on February 15 by 4 p.m.For more information and new 2018 submission requirements, visit onhops.ca. Bakery Showcase is Canada’s national baking industry trade show and conference. Held every two years, it is the largest and ONLY baking industry B2B trade show and conference. Who Should Exhibit? Companies that manufacture, market and sell baked products (finished, semi-finished, frozen, etc. ), baking ingredients, baking equipment, supplies, packaging, technology and services to the baking industry. Who Will Attend? Retail bakeries (independent and franchise), commercial and large-scale bakeries, supermarket in-store bakeries, foodservice (restaurants, hotel, caterer, cafes), specialty and artisan bakers, distributors, brokers, manufacturers, suppliers of ingredients, equipment and services, bakery and pastry program schools, consultants, government, associations and local/international buyer missions. For more information or to reserve exhibit space, sponsor or attend, email Ahmed Mutaher at amutaher@baking.ca or call 905-405-0288 ext. 22. Healthy Food Revolution: Join the “revolution” at a four-diamond, five-star resort in the heart of wine country for the Canadian Institute of Food Science and Technology’s (CIFST) National Conference. This must-attend food and beverage sector event features expert industry speakers, table-top exhibits and networking opportunities. Watch for more information or visit www.cifst.ca for sponsorship, exhibiting and registration details. Get a head start on hiring a U of G co-op student for the summer! Students available for 4, 8 or 12 months! Not sure you have the budget to hire a co-op student this summer?Contact the office to learn about various hiring incentives at 519-824-4120 ext. 52323,recruit@uoguelph.ca or visit www.recruitguelph.ca. @OMAFRA stay up-to-date on the latest news, events, and more!